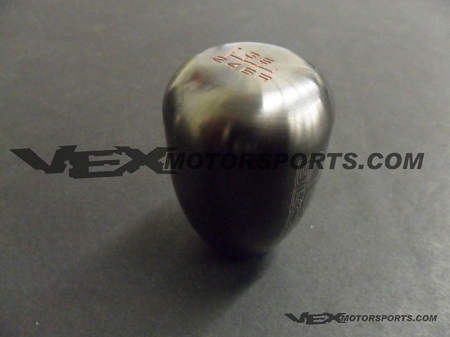 BLOX Racing performance shift knobs are CNC machined from high-grade steel and custom-weighted to 450 grams. These heavier shift knobs are designed to increase the effects of quick-shifting and will help minimize binding. Will also fit other cars with 10x1.25mm. The fitment guide provided is a rough reference. Please do your own research to make sure the item will fit your car prior to bidding. We are not responsible for improper fitment. You are receiving the color and model described in the auction. Your address must be a confirmed Paypal address. Please contact us for other payment methods. We also accept credit cards. All payments required within 72 hours or item will be relisted and negative feedback left. We only ship to your confirmed Paypal address. If you do not have a confirmed address, please do not bid on the item. If shipping is not listed, please use the shipping calculator to determine shipping cost. Shipping will be more if outside the 48 states, including but not limited to Alaska, Hawaii, Puerto Rico, PO BOX, APO/FPO, and other countries. All items will be shipped by FedEx, UPS, or USPS. Most items shipped internationally will be shipped via UPS. Items usually ship out within 2-3 days after payment is made. Items may be for Off-Road use only. We are not responsible for installation fee's or any other fee's associated with the item. Please contact the manufacturer for any warranty purposes. All items are in stock when listed, however we are a store and the item may sell in store prior to your bid. If an item may become out of stock, it may require additional time for us to order them. We will contact you if this is the case. You may contact us anytime for questions or stock check by using the contact us or calling us directly 408-678-0808 M-F 10-6PM PST.